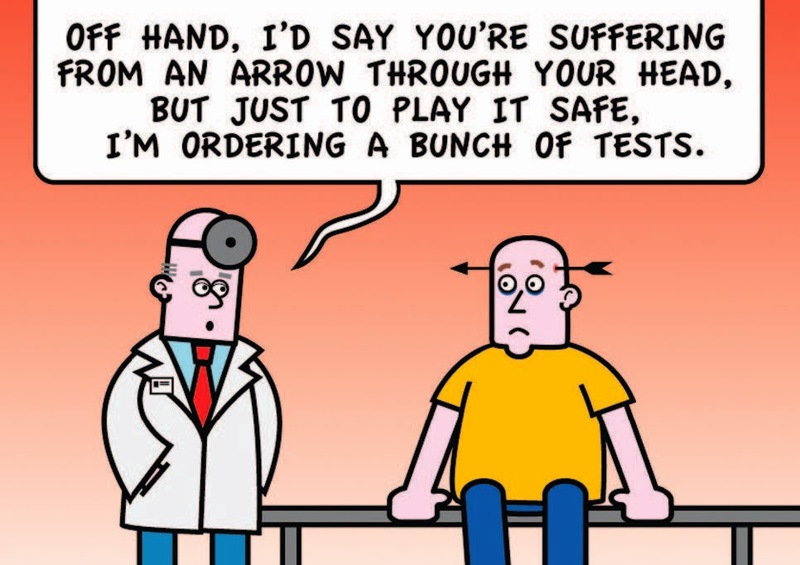 I would like to use the cartoon with caption "Off Hand, I'd say you're suffering from an arrow through your head, but just to play it safe, I'm ordering a bunch of tests." in a medical journal article with 700 hard copies printed. Could you tell who the cartoon belongs to? I need to contact them for copyright authorization.